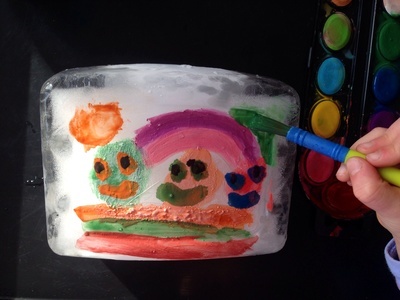 My children really enjoyed ice painting. 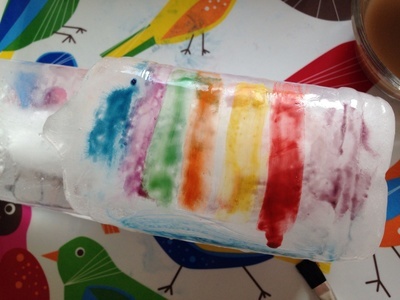 It's a very cheap and easy art activity which could be done indoors or outdoors. 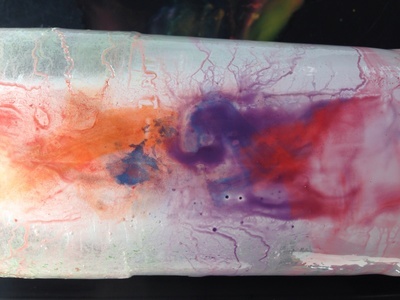 Painting on a new material was a huge novelty and the activity changed as the ice began to melt and the paint colours started to mix together. Fill the tubs with a few inches of water and place flat in the freezer. We preferred quite large tubs with a flat bottom (e.g. and ice cream tub). 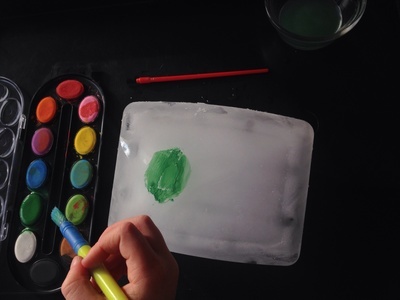 When frozen, pop out the ice and place onto a tray. 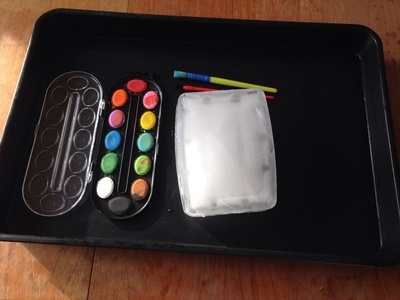 The children can then paint onto the ice with watercolour paints from the palette. (Wet the brush first). 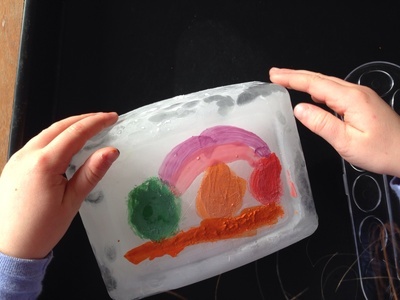 We enjoyed watching the paint freeze onto the ice initially, then melt and blend as the ice melted. Try making a print by pressing a sheet of paper onto the paint.